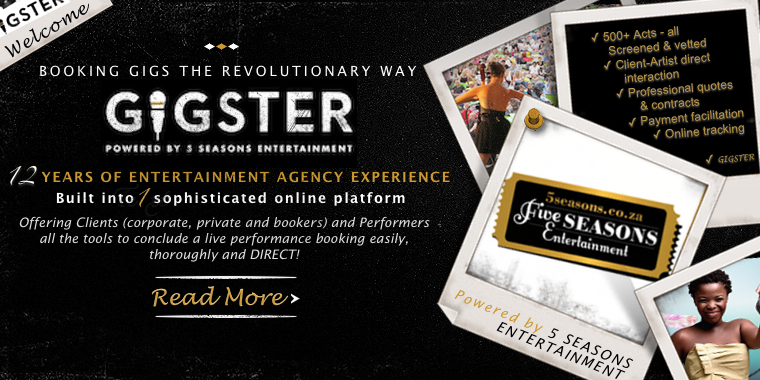 The revolutionary way of booking live entertainment for events! 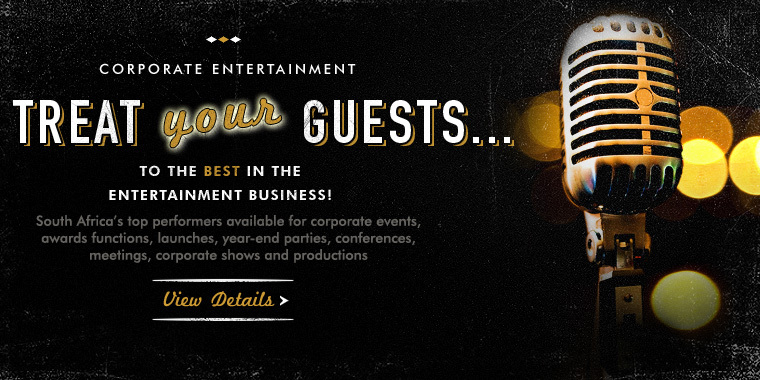 Hundreds of corporate clients, event organisers, entertainment bookers and private clients have instant access to over 600 of SA's best musicians, superstars, MC's, comedians, celebrities, speakers, speciality & novelty acts, and much more - available for bookings in South African and beyond. 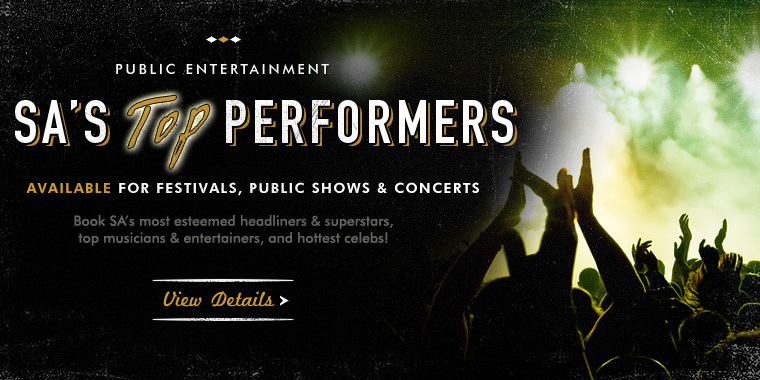 Scroll through our entertainment roster to find the perfect act for your event, and use the search / sort by functions to narrow down your options. 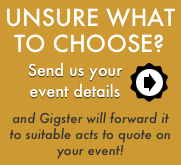 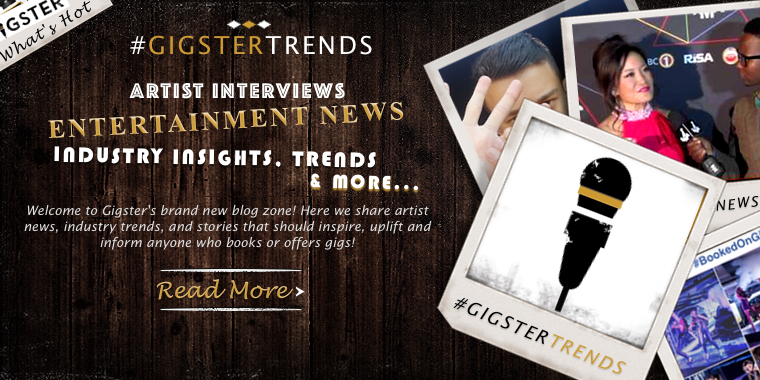 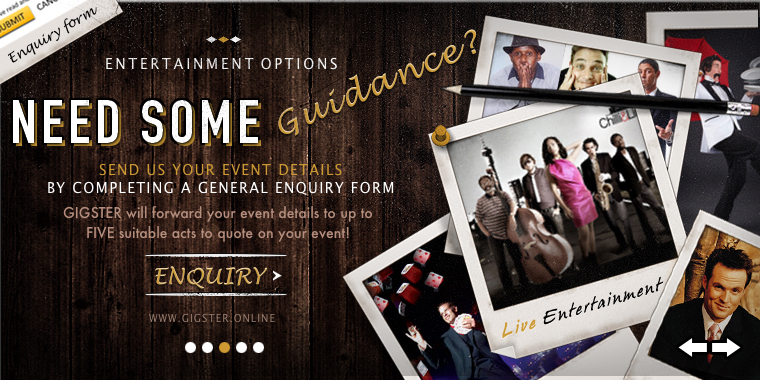 Or, if you are unsure what you want, send us your event details and a Gigster consultant will submit your enquiry to suitable acts, who will respond to you with professional quotes and more information. 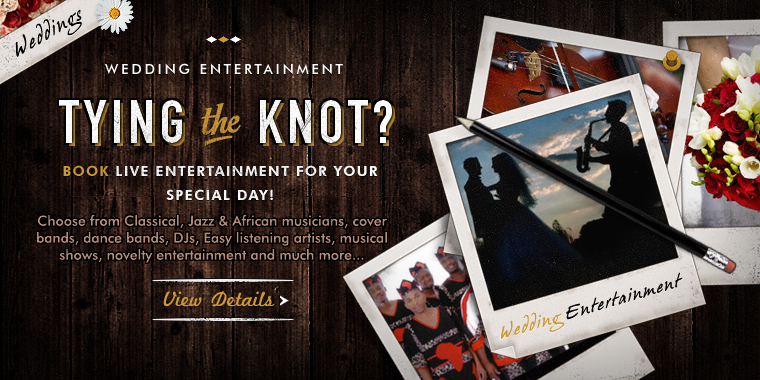 All your quotes and communication can be tracked online, and when you are ready to book, you can do so in three quick, paperlesss steps!